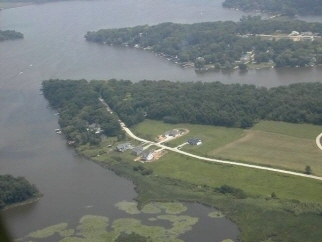 Quiet lake and country setting to build your dream home. Affordable, buildable lot with sewer hookups and utilities. Located on slope of the hill with westerly views to give you scenic sunsets over the lake. Lake access comes with this lot so you can launch your boat or jet ski so you can appreciate the all the wildlife. Seller is looking for an offer, call before it's gone!